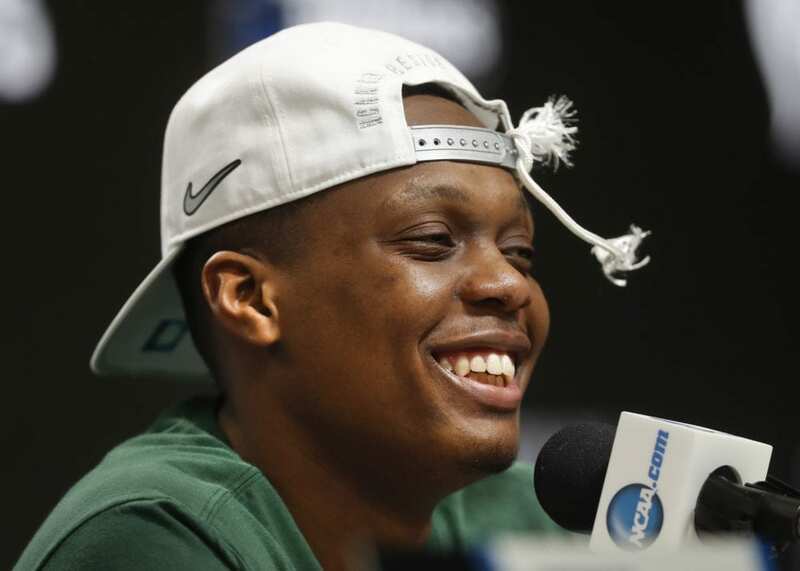 WASHINGTON (AP) — Cassius Winston missed an open jump shot but was right there for the rebound. Without hesitating, he stepped back and swished a 3-pointer. The biggest moment for Michigan State is still to come after Winston led the Spartans back to the Final Four for the first time since 2015. 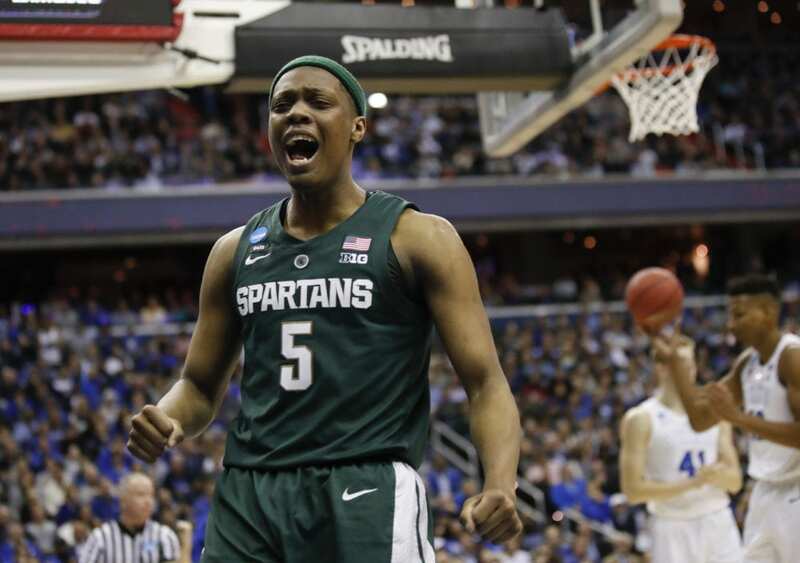 Michigan State beat Duke 68-67 on Sunday to knock the overall top seed out of the NCAA Tournament in what likely was the end of Zion Williamson’s college career. Winston took over the game when his team faced its biggest deficit, stealing the show from Williamson with 20 points and 10 assists in a do-it-all performance fittingly with Magic Johnson there to see it. Winston didn’t know how many shots he took but never hesitated to put the ball up. He was 9 of 23 and never shied away from taking it at Duke and shooting at nearly every opportunity in the East Region final. The Big Ten Player of the Year and East Region Most Outstanding Player made or assisted on 19 of Michigan State’s 30 field goals. Williamson, the presumptive top pick in the NBA Draft and biggest star of this NCAA Tournament, had a game-high 24 points and 14 rebounds. He said it was a “high possibility” this was his final game at Duke. 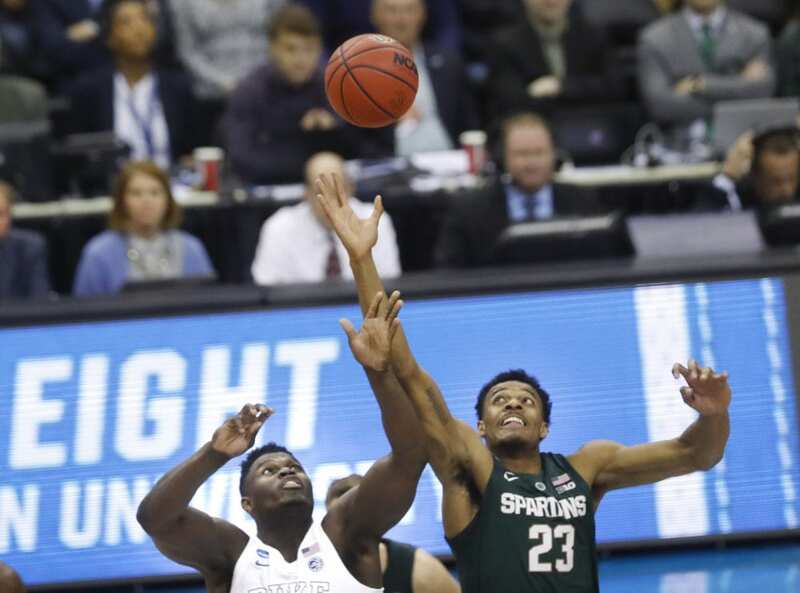 Michigan State’s veteran-laden team will have another chance Saturday in one regional semifinal against Texas Tech in Minneapolis. Virginia faces Auburn in the other. “We’re not done yet, and it feels good,” senior guard Matt McQuaid said. Winston carried the Spartans into the Final Four , but they received a huge boost from their oldest player. Kenny Goins, a fifth-year walk-on senior who missed his first four 3-point attempts, drained the go-ahead shot with 34.3 seconds left to put Michigan State up 68-66. Duke had the chance to tie but freshman star RJ Barrett missed the first of two free throws with 5.2 seconds left. 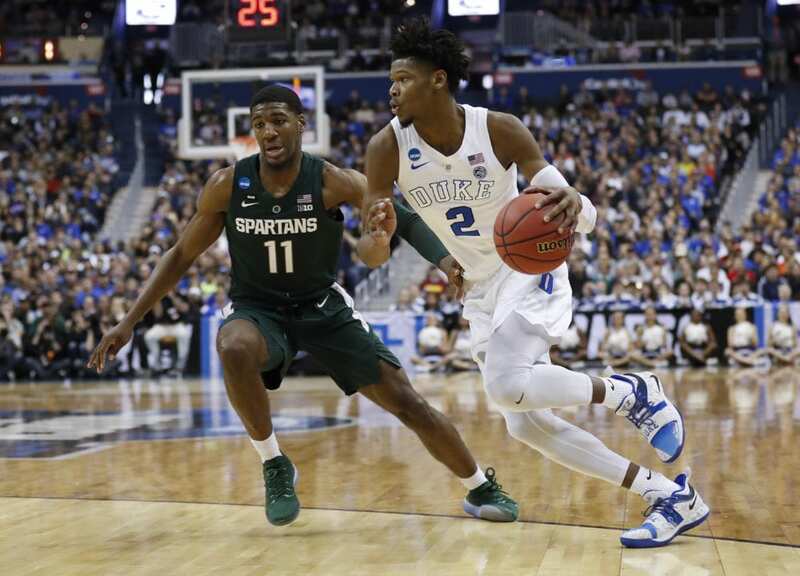 Duke was helpless with only four fouls, and Winston was able to get the ball away from the Duke defenders and dribble out the clock. “There wasn’t enough time, so I tried to miss the second one and it went in,” Barrett said. 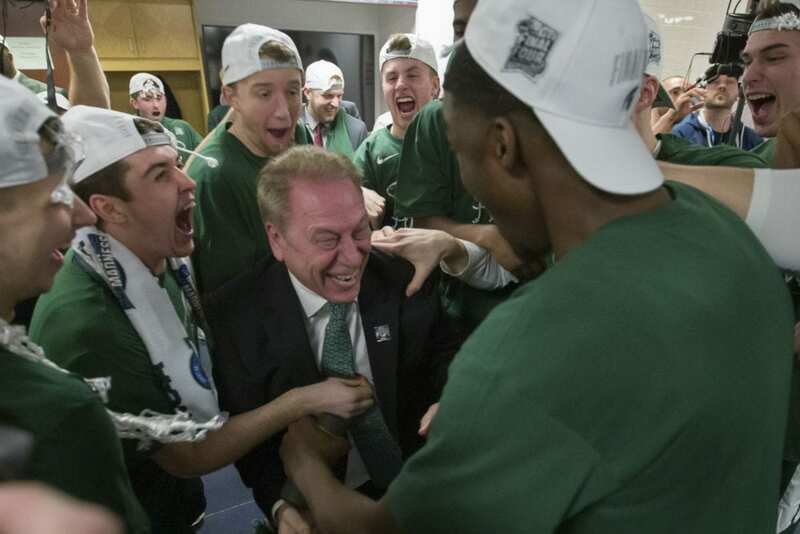 Michigan State is in the Final Four for the eighth time under coach Tom Izzo, who beat Krzyzewski for just the second time in 13 meetings and second time in six NCAA Tournament games. Izzo is in the Final Four for the eighth time in his career and denied Krzyzewski what would have been a record 13th appearance. 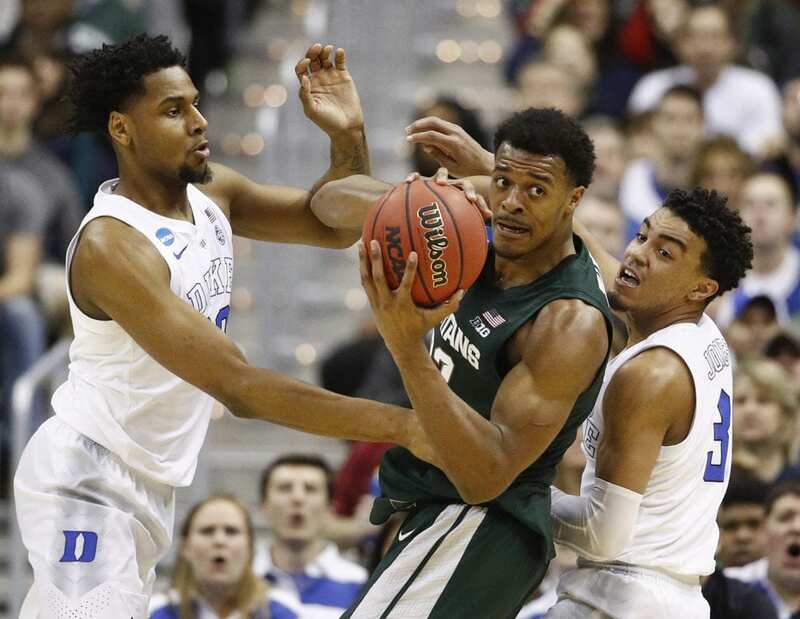 Izzo had to navigate foul trouble to big man Xavier Tillman, who was essential in guarding Williamson and factoring in on the offensive end. Tillman played 29 minutes and scored 19 points on 8-of-12 shooting. 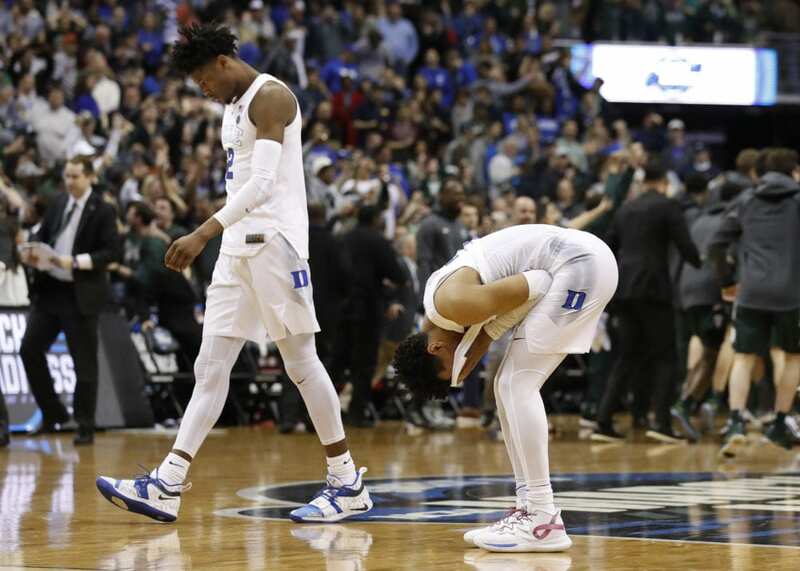 Duke fell one step short of the Final Four after finally coming out on the losing end of a nail-biter. 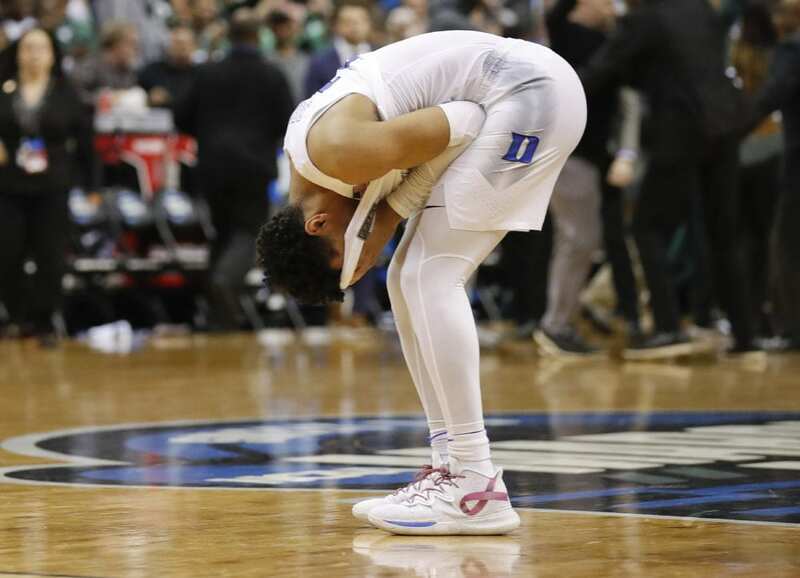 The Blue Devils won their previous two NCAA Tournament games by a combined three points and escaped in the final seconds only when their opponents missed at the buzzer. 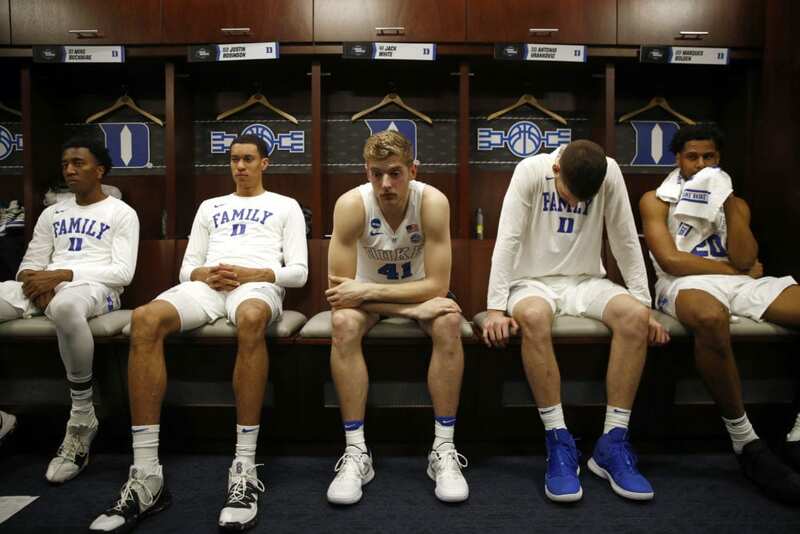 Falling short likely ended the college career of Williamson, the freshman sensation expected to leave Duke for the NBA. Interest in Williamson has been so high that CBS dedicated a camera to his every move in the NCAA Tournament. Barrett had 21 points — but not the one that could have sent the game into overtime. Cam Reddish didn’t start for Duke but the freshman was the first player off the bench two minutes in after being a game-time decision. Reddish missed the Sweet 16 victory against Virginia Tech on Friday with a left knee injury. Reddish missed his first two shots before his two free throws gave Duke its first lead at 22-21 with 7:10 left in the first half. Reddish finished with eight points on 2-of-8 shooting. “Obviously it was sore or whatever but I wanted to be out there with my guys,” Reddish said. McQuaid dunked the ball in the first half and in the second half had a 360-degree up-and-under layup that should be a regular feature on highlight reels. “I don’t know what got into me,” McQuaid said. While this is the Spartans’ 10th Final Four, it’s the first in program history for their opponent, Texas Tech, which beatGonzaga to win the West Region. 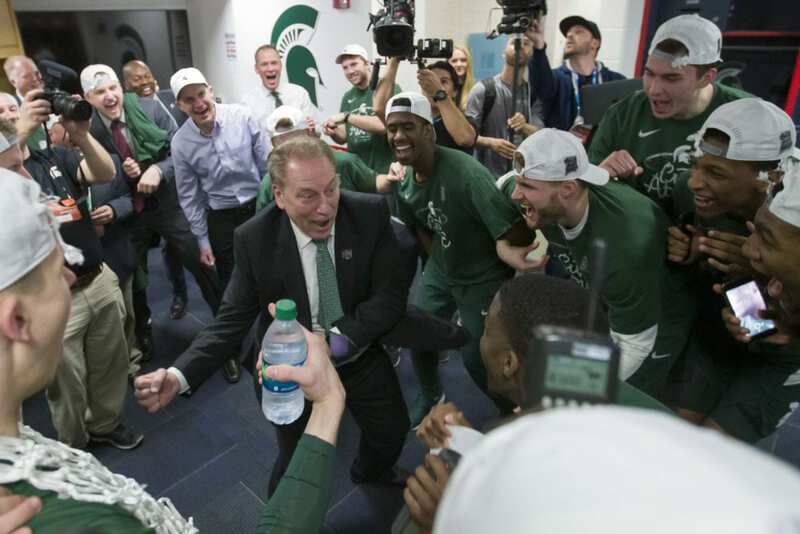 Be the first to comment on "Michigan State Knocks Off Duke 68-67 To Make Final Four"